What will you and your guests remember most about your wedding? The Music. 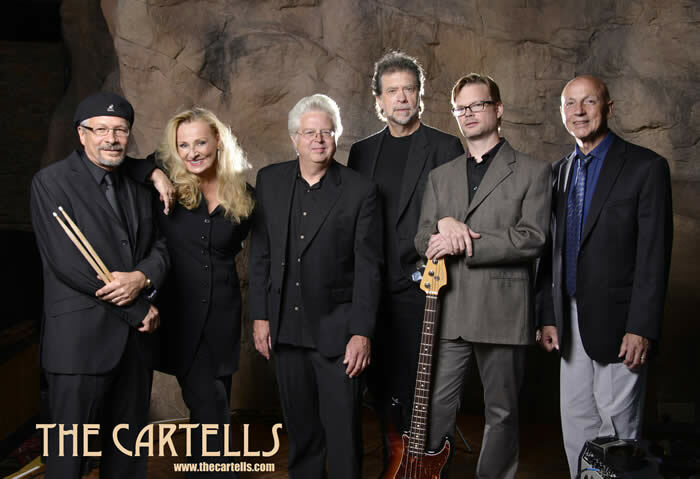 The Cartells recognize that a wedding isn’t just another event – it’s a memory-making occasion. That’s why the band does everything possible to ensure that the day goes smoothly from start to finish. Karin Barth works with the bride or buyer to fine tune all details, even advancing the date with the venue and coordinating the event schedule with the photographer. The band performs a wide variety of the most popular music, from Motown to rhythm and blues and swing to today’s current hits (See our SONG LIST). The Cartells also offer music for the ceremony and the pre-reception cocktail hour, for brides who decide to hold their wedding at the same location as the reception. 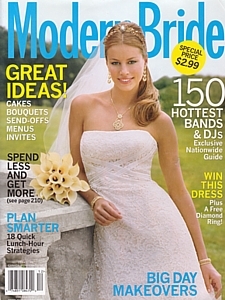 For their Special Music issue and exclusive Nationwide Guide, Modern Bride Magazine spoke to hundreds of wedding experts – reception site managers, event planners and designers and more – to uncover some of the most popular and most talented entertainers and determine the 150 Hottest bands Nationwide; The Cartells were listed first in Connecticut! The Cartell’s were listed 1st in Connecticut in Modern Bride magazine!